Visual effects are making a breakthrough which is not possible to be mapped by any graph. Over the last two years, the VFX industry has grown up to 44%. That is greater than any other industry in the market. Even the IT industry is behind when compared to that of visual effects. This year itself we saw some great work being done by films like Venom, Infinity War, Justice League, Ant-Man and Wasp and etc. Let us take a look at some of the best movies where the work was so commendable that we are still talking about it. And in case you are a student pursuing a VFX course in Kolkata or anywhere else; this article can be a real learning experience for you. Without any more delay, let us begin! 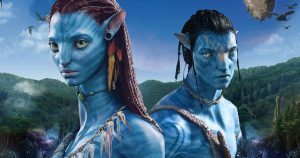 Academy Award winning film, Avatar will always remain one of the best works done by James Cameron. Did you know that the film’s shooting and production got stalled for around ten years because Cameron believed that the VFX technology did not make that much success? But we will definitely say it was worth the wait. As technology made developments and the correct equipment came into his hands; he made this piece of art. Avatar is one of the most expensive films made in today’s day and age. You can watch the film a million times and still fall in awe with the high-level work that has been in the visual effects department. Honestly, the post production team has to be applause every time this movie is even mentioned. 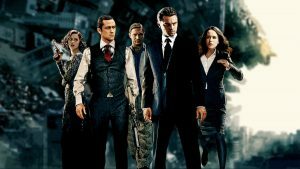 Leonardo Di Caprio starring Inception was released in 2010. The film was a scientific thriller which made travels within dreams. Next to next year, the film will commence the decade mark but still people are talking about the level of VFX that was done in the film. This film is also an academy Winning performance which stunned people from all across the globe. The beautiful thing about this movie was that the audience was so submerged into the concept of the story. The best note of a good editing work is when it is unnoticed. That is exactly what happened with this movie. Nothing on this planet is better than the combination of Christopher Nolan and time travel stories. 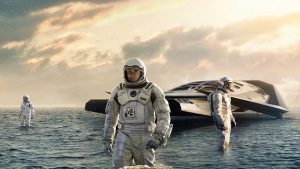 Interstellar is a story of space travel and moving across multiple parallel dimensions. The crew said that it was a relatively difficult project because creating outer space in literally every single shot is quite the challenge. More than half the scenes were shot in front of props and blue screens. The green screens were used inside the space ship to show the interiors. After watching such a magical movie you will forget about the real world that exists outside. We cannot possibly forget the hard work and labour of the visual effects team that went into making this movie such a big success. The next movie in our list is our very Indian favourite Baahubali. Directed by S.S. Rajamouli, Baahubali is the epic story of a warrior, prince and a gifted hero. This movie remains one of the largest grossing movies of all time in India. Baahubali had such high-quality periodic VFX that everyone was shaken. Everything seemed so original and authentic that it had no match. The first part left us at such a major cliffhanger. The second parts blew everyone’s mind even more. 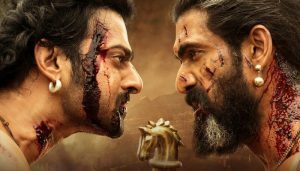 We can’t not mention Baahubali while talking about visual effects. Harry Potter is the reason that drags students to learn VFX. This is where they feel the vibrant magic of editing and wish to create the same. If you are also someone who is interested then you can check out the VFX course fees in Kolkata here. 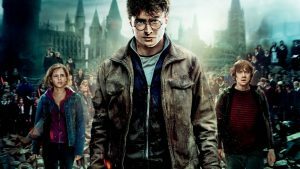 Harry Potter created a legacy of its own by bringing forward magic and influence into such realistic themes that people of all age groups across the globe started taking an interest. Harry Potter would always be an important film on the visual effects list.